I created this HubPage to provide a series of unique perspectives, creative how-tos, and lots of ideas for home décor, entertaining and more! Whether your style is vintage or modern, geeky or chic – let me show you some quick, surprisingly-simple, and, YES, super-affordable design and oh-so-clever craft ideas. The purpose is to inspire! I encourage you to take these ideas and run with them…modify them to suit your own personal style. Let your personality shine through! Curious about the name Trijan Maddux? Although I am the real brains (and beauty) behind these awesome design and craft ideas, I chose to use a character name from the upcoming Science Fiction series that my husband and I are writing. Plus, Trijan Maddux just sounds awesome! 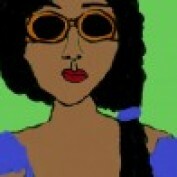 Now…a little about myself…I am a thirty-something African-American female with a degree in Art History. I love, love, love and find inspiration in all things geeky, Gothic and Victorian. A born Trekkie (yay, Original Series! ), gamer, comic book collector, convention goer, British Comedy and Science Fiction fanatic…I truly live in a fantasy world (which, by the way, is a wonderful place for inspiration). I am a blogger, writer, poet, artist and jewelry maker. For unique, beautiful handmade jewelry, visit my online stores (Designs by EHL) at Etsy – http://www.etsy.com/shop/Designsbyehl/, and at Shop Handmade – http://www.shophandmade.com/store/designsbyehl/. DIWS (Do It With Style! 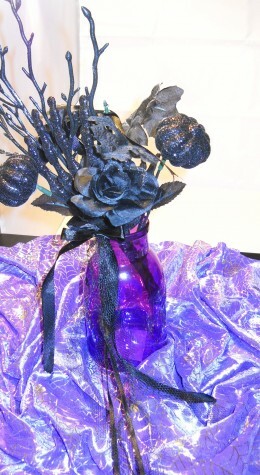 ): Gothic Glamour—Create A Bewitchingly-Beautiful Halloween Centerpiece for $5! Instead of the familiar DIY, let’s DIWS (Do It With Style)! Add some Gothic glamour to any occasion with this quick and extremely easy-to-create Halloween centerpiece.